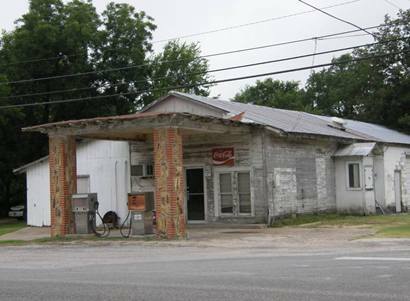 The town's name is a rare of example of "what you see is what you get." 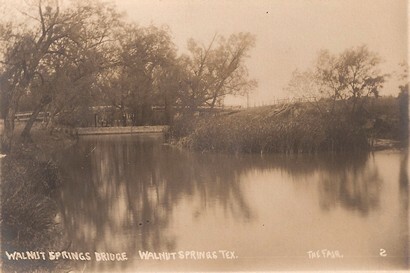 The community developed around springs (still flowing today) that surfaced in the shade of Walnut trees. 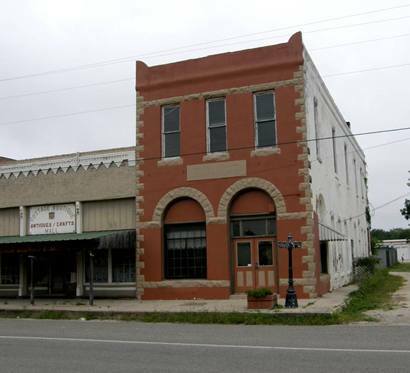 The town's history is directly related to that of the Texas Central Railroad. The railroad arrived in 1880-81, building machine shops which burned in the 1920s and weren't rebuilt. 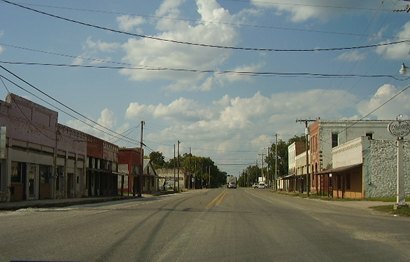 The railroad later joined the long roster of defunct Texas railroads, but its impact on the town is still being felt (see letter below). 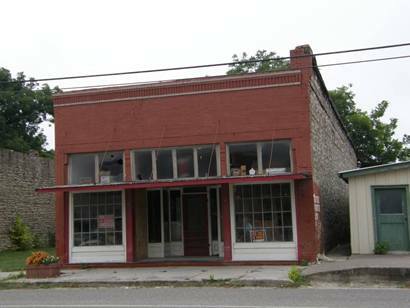 A post office was granted in 1883, however the name Walnut Springs wasn't applied until 1892. In 1885 Central College was opened, becoming part of the public school system seven years later. From a high-water mark of 1,449 before the railroad fire, it declined to 723 as the Great Depression wound down. In 1961 the population was just under 500 and growth has been slow but steady - reaching the current number of 755 residents. 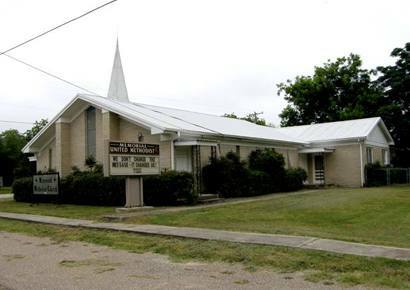 I have been the city engineer for the City of Walnut Springs, Texas, for about 10 years. While trying to use a magnetic locator to find a cast iron pipeline, I was getting readings all over the place. An old timer came by and told that my location was very near the boiler shop of the [now defunct] Texas Central Railroad. [In the 20s when the fire occured] there were explosions in the boiler shop that covered the area with debris. 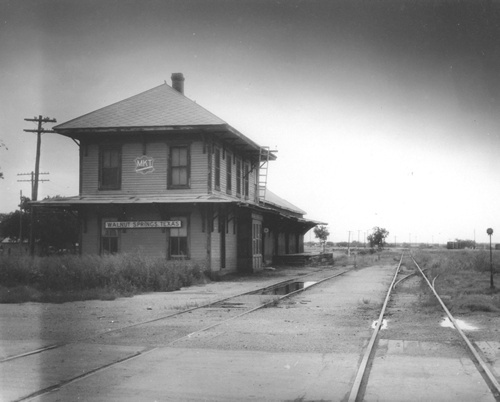 The Texas Central Railroad was created in the 1880's and I believe the last of it was shut down in 1936. 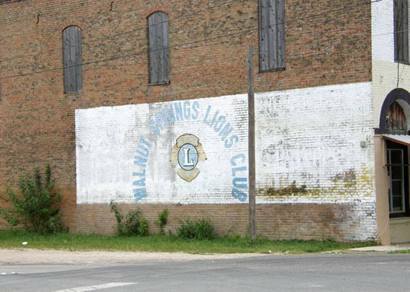 The street and utilities were given to the City of Walnut Springs. In the downtown area, there is still the foundation for a steam engine to drive the water works. 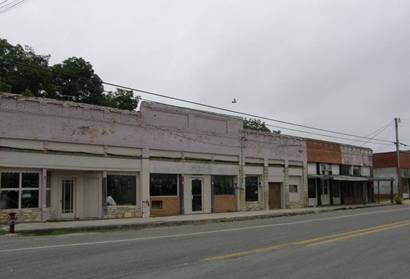 Due to the decline in the railroad, and the ranching businesses, the town fell into disrepair for years. In the late 1980's a sewer system funded by the FHA was installed along with a treatment plant. In the late 1990's, we replaced a jerry-rigged water pressure system with a new 40,000 gallon standpipe along with a 1,000 gpm pumping station and a revised power system for the plant. In the year 2000, we installed a new well with a 230 gpm capacity, a 44,000 gallon ground storage tank, and another 1,000 gpm pump station new the Hornet Stadium just south of city hall. This vastly improved the water reliability since during the storm of 1998, the only water pipe crossing Steele creek washed out. The concrete in-ground tank is still there and the last time I checked, it was still in great shape. 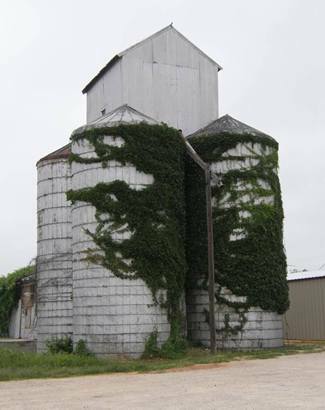 In 2002, we replaced the old 1922 vintage concrete tank improved the plant piping. I had the old 1922 vintage concrete ground storage tank removed and replaced with a new welded steel tank constructed by Bulldog Steel of Clyde, Texas. There were several wall cracks, but the slab was as sound as new. The new tank sits on the 1922 slab. A new grade beam was poured around the tank. The reinforcing steel was square stock and twisted to deform it to obtain a good grip to the concrete. It has the historic Lone Star Steel trade mark on it as I recall. It was all poured by hand, the workers placing and mixing it in shifts, working around the clock. 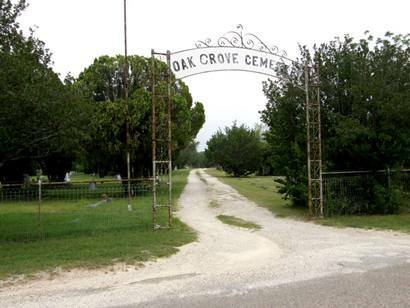 With this project, the City is now current with all TCEQ regulations. 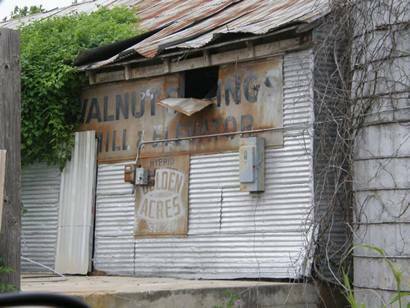 The City and Walnut Springs ISD have begun to grow and have already attracted several retail businesses. The City Secretary, Kay Offutt (her husband is Welsh, and manager of the Flat Top Ranch), sent me an extremely interesting book about the history of the Texas Central Railroad and Walnut Springs as a Christmas present . While doing the land acquisition to expand the football field from the required 80 yards for 6 man ball to the full 100 yards, I determined the football field to be located very near the historical site of the boiler shop. 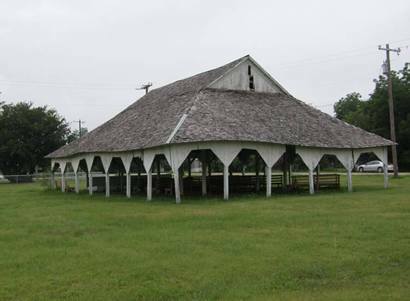 There was a round house there and it is my understanding, it is located about two hundred yards behind the new post office fronting Texas 144. 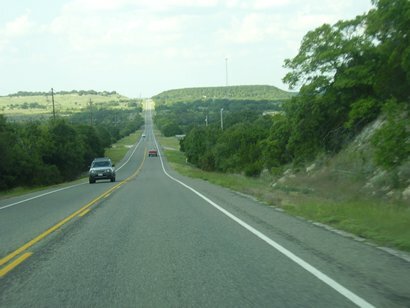 A gentleman named Murphy Bruns, retired at Tow, Texas, further told me how the town was bustling when he was foreman for the construction of the REA-funded rural power lines in the area in the 1930's. His company was owned by a Mr. Taylor, who was Lady Bird Johnson's father. The railroad sold out to the Missouri Kansas and Texas "Katy" railroad at some point. 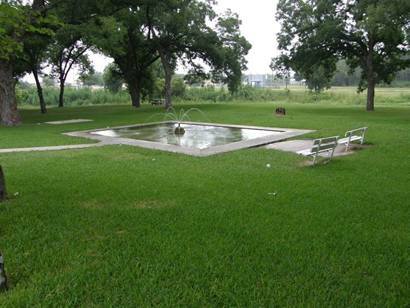 The Katy park still exists as a city park today and houses and protects the Walnut Springs. These springs still flow several hundred gallons a minute and have never gone dry. In the northeast part of town, you can still see the influence of the railroad houses. 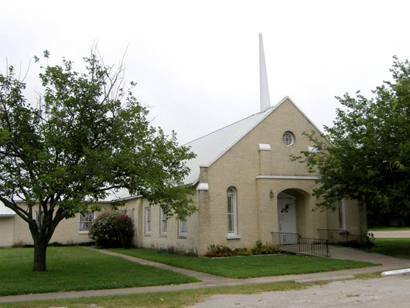 Most have been changed and some replaced, but if you stand at the end of street you can see that the gable roofs line up exactly.